Twin Valley South Allison Bassler (7) and Makiah Newport celebrate after the Panthers scored a goal against Carlisle on Saturday, Aug. 25. South rallied from a 3-2 halftime deficit for a 5-4 win. 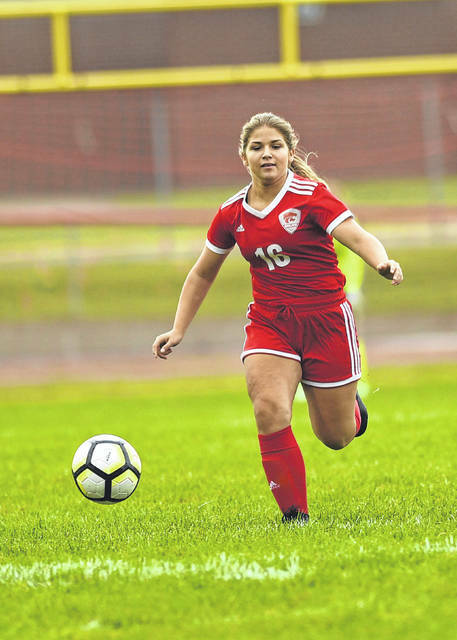 PREBLE COUNTY — National Trail girls’ soccer team opened the season with an 8-0 loss, at home, to Cross County Conference opponent Miami East on Saturday, Aug. 25. The Blazers (0-1) were scheduled to play Middletown Christian on Monday, Aug. 27 and will travel to Tri-County North on Thursday. The contest with North is scheduled to kick-off at 5:30 p.m.
Twin Valley South’s volleyball team improved to 2-0 on the season with a sweep of visiting Carlisle on Saturday, Aug. 25. The Panthers cruised to a 25-16, 25-19, 25-14 win. 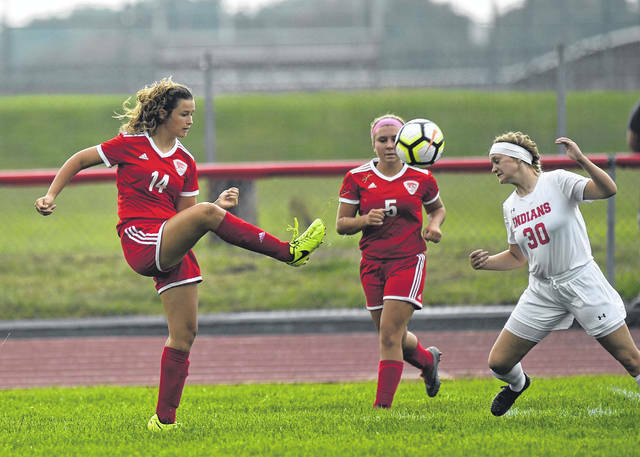 The Panthers downed Stivers 3-2 on Tuesday, Aug. 21, in the season opener. 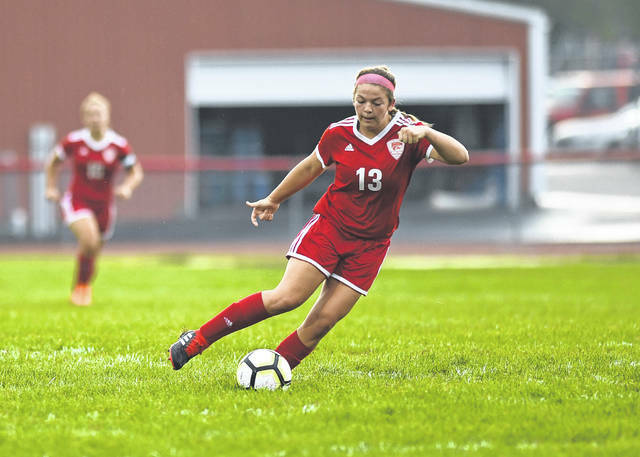 South (2-0) was scheduled to travel to Newton on Tuesday, Aug. 28, to begin Cross County Conference play and will host Mississinawa Valley on Thursday, Aug. 30. On Tuesday, Sept. 4, the Panthers are scheduled to travel to Franklin-Monroe. 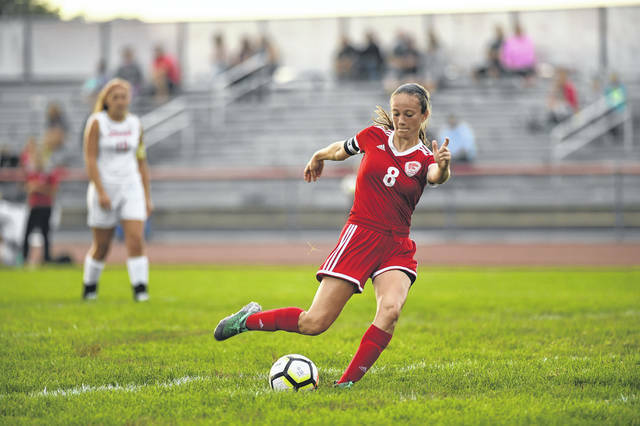 Makiah Newport and Allison Bassler each scored two goals to lead Twin Valley South’s girls’ soccer team to a 5-4 win over Carlisle on Saturday, Aug. 25. 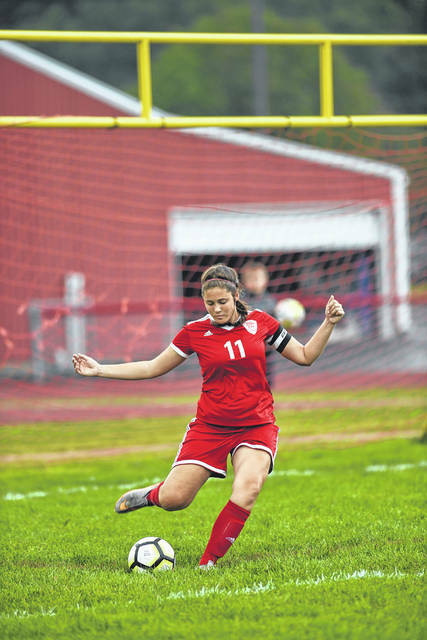 Madi Hundley added the game-winner for the Panthers, who overcame a 3-2 halftime deficit to earn the win. 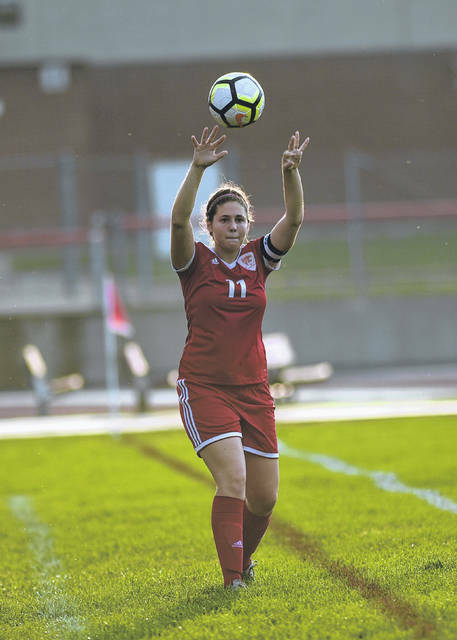 South (1-1), which fell in its opener, 1-0, to The Miami Valley School on Friday, Aug. 17, was scheduled to host Bethel on Tuesday, Aug. 30 for its only contest this week. National Trail’s boys golf team fell to an experienced Twin Valley South team at a soggy Highland Lake GC by a score of 197-221, on Monday, Aug. 20. Austin Knapp shot a 48 to lead the Blazers, followed by a 54 from Tyler Porter. Sam Roberts shot a 59 and Khyler Grant a 60. Jesse Norton also competed. The loss dropped the Blazers to 0-1 in CCC play and 0-2 overall. The Blazers fell in CCC play Thursday, Aug. 23, to Covington 208-232. The match was played Highland Lake GC. Knapp led the way for the Blazers with a 53, Roberts shot a 56. Porter and Norton rounded out the scorers with 56 and 66 respectively. Grant and Kevin Christensen also competed for the Blazers. The loss drops the Blazers record to 0-3 overall and 0-2 in CCC play. NT was scheduled to return to action Monday, Aug. 27, when they travel to Turtle Creek for another CCC match against Franklin-Monroe. Trail is also scheduled to play a tri-match on Tuesday, Aug. 28 against Dixie and Middletown Christian. On Thursday they will travel to Franklin-Monroe. 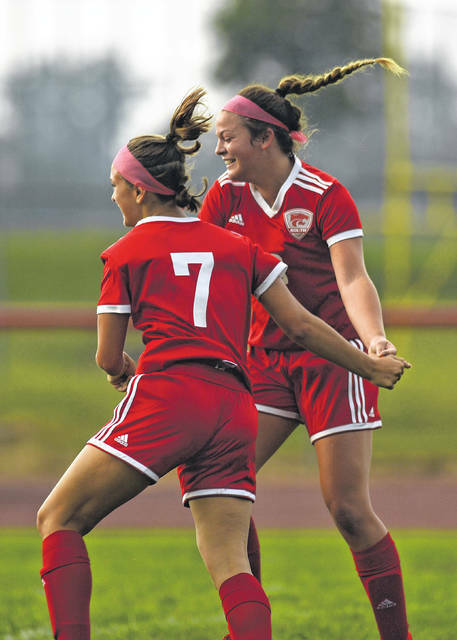 https://www.registerherald.com/wp-content/uploads/sites/41/2018/08/web1_tvsgs2.jpgTwin Valley South Allison Bassler (7) and Makiah Newport celebrate after the Panthers scored a goal against Carlisle on Saturday, Aug. 25. South rallied from a 3-2 halftime deficit for a 5-4 win.